The beauty of Process Bliss is that you don’t have to map out your processes before you start using the system. 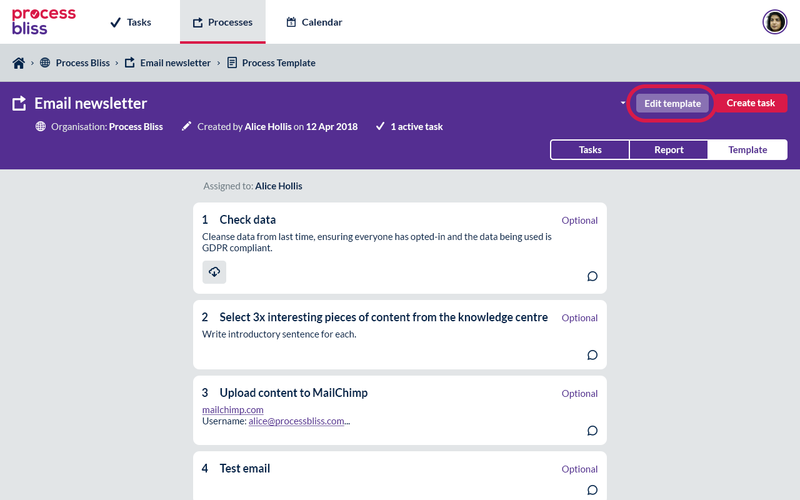 Simply log on, start adding your tasks, and then if you want to save something as a template for future use, just select ‘Save as Template’ from the drop-down menu. And don’t worry about your processes being right first time. 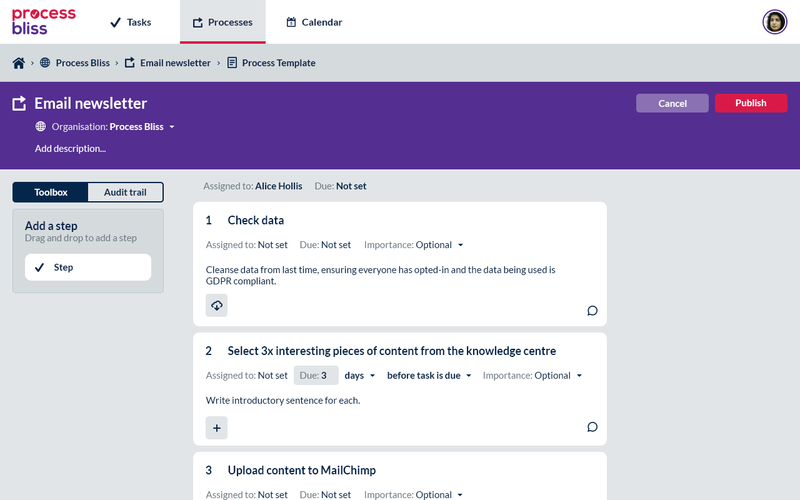 Every time you schedule a process, employees can provide feedback on it so you just get started with something simple and gradually improve/refine it over time. 2) Process Bliss maps out your processes. From the ‘Tasks’ tab, select ‘Create Task’ and start adding the steps. 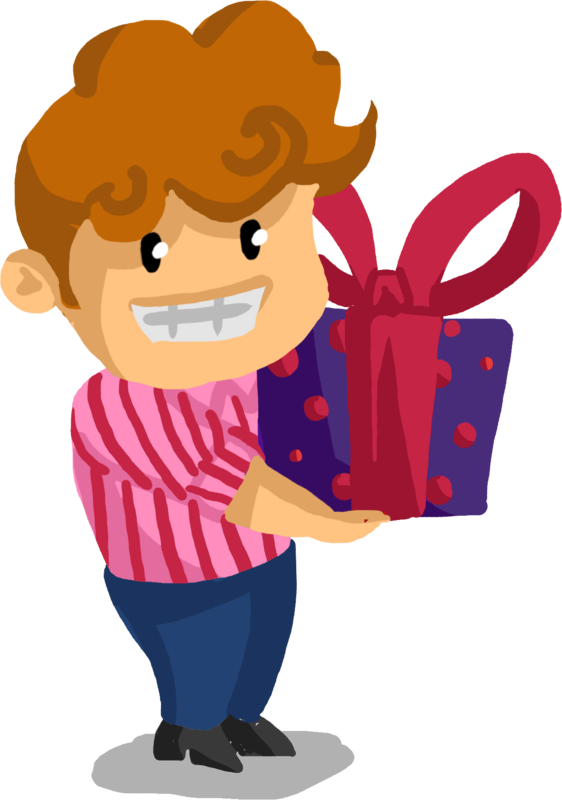 For each step you can include a description, attach links/documents, assign it to someone, set a due date and add the step’s importance (optional/essential). Once your task is complete, simply click ‘Publish’. 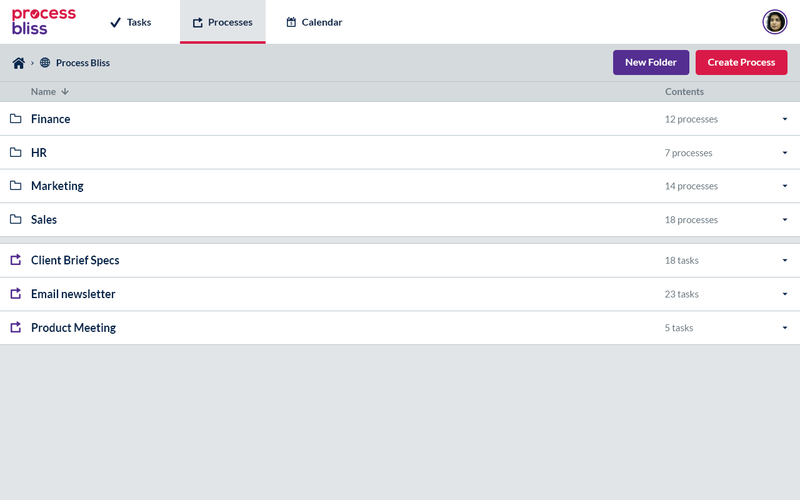 You can then view all your tasks under the ‘Template’ tab. 3) Process Bliss easily updates your processes. If/when your processes change, Process Bliss simply flexes to your new way of working. 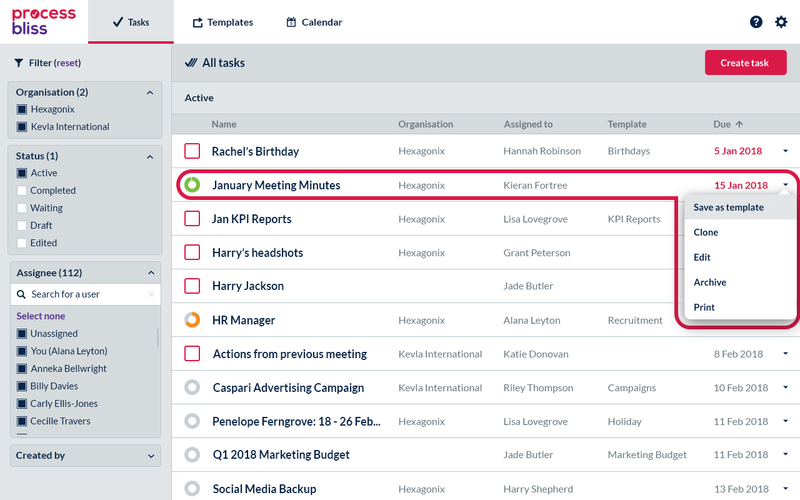 Before you start your task, simply select the template you used last time, and edit it first to reflect any updates. Then publish your changes and you’re ready to go.